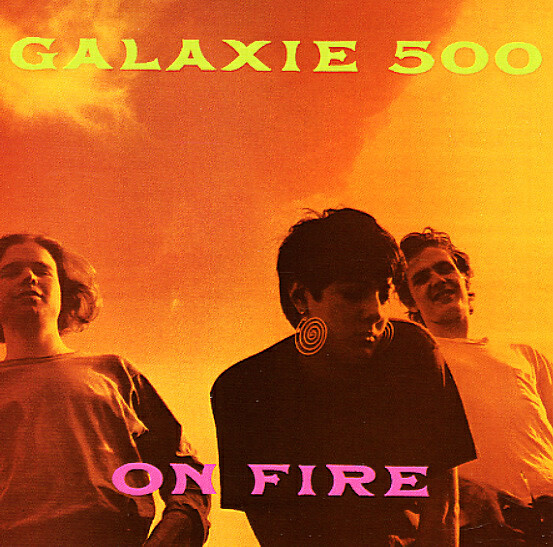 The second of 3 great albums by in the short but massively influential career of Galaxie 500 – the members of whom would go on the pretty successful careers in other groups, but it's hard to imagine how those records can be better remembered than gems like On Fire! Dean Wareham had really become a master of hypnotic, just spacey enough guitar sounds by the time this record hit, with Dean & Naomi's plaintive vocals ekeing raw emotions out of the songs like no other group working at the time. Titles include "Blue Thunder", "Tell Me", "Snowstorm", "Strange", "When Will You Come Home", "Decomposing Trees", ""Leave The Planet", "Plastic Bird" and "Isn't It A Pity" – plus the bonus tracks "Victory Garden", "Ceremony" and "Cold Night". © 1996-2019, Dusty Groove, Inc.